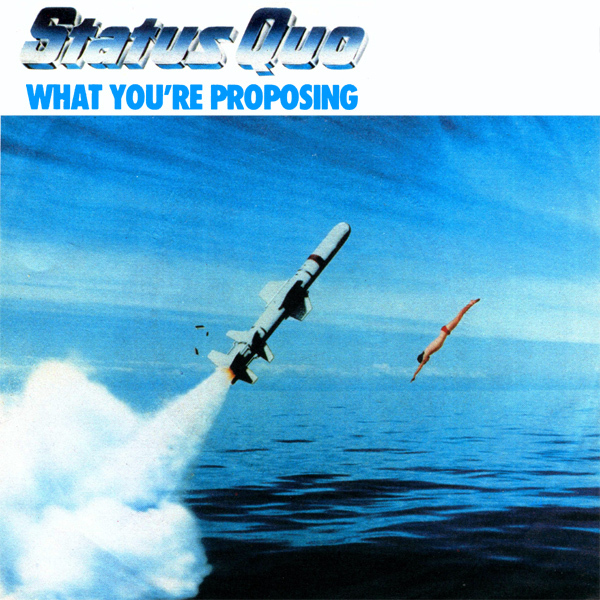 Some time ago we had a whole week of remixes of the covers of songs by Status Quo but obviously we missed out What You're Proposing. So here is a remix for it. The original artwork contains an image that makes little to no sense whatsoever. It's someone diving into the ocean alongside a missile being launched. Whatever. The remix shows a babe who is clearly proposing something, or has already been proposed to. Will you accept her proposal? Rehearsal!